In our last posting, we talked about the positional accuracy of a point of the moveable plate or work surface of our ball screw table with the terms roll, pitch, and yaw. The application that you’re trying to solve should be with the most cost-effective positioning solution. 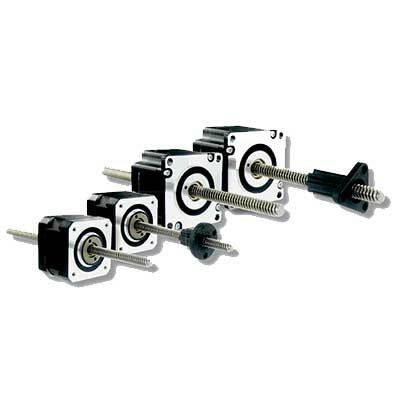 In our last posting, we introduced leadscrews, ball screws and linear slides. We’re going to continue with that discussion by considering how accurately the threads are cut into the screw. Using the five-pitch screw as an example, we understand that five revolutions are supposed to move the plate one inch, but what happens if the thread is cut too long or too short. Five revolutions might move the plate 0.990” or 1.010”. 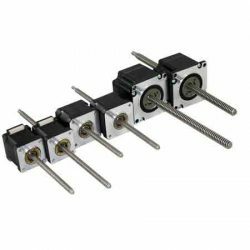 With this posting, we’ll begin a discussion about leadscrew/ball screw/linear slide systems. Picture a screw with a nut on it. No, no not a Walnut. Sighhhh. OK then, picture a right-hand threaded 1/4-20 screw with a 1/4-20 nut threaded on to the screw. A 1/4-20 screw has an outside diameter or major diameter of 0.25” and the thread of the screw has 20 turns per inch.